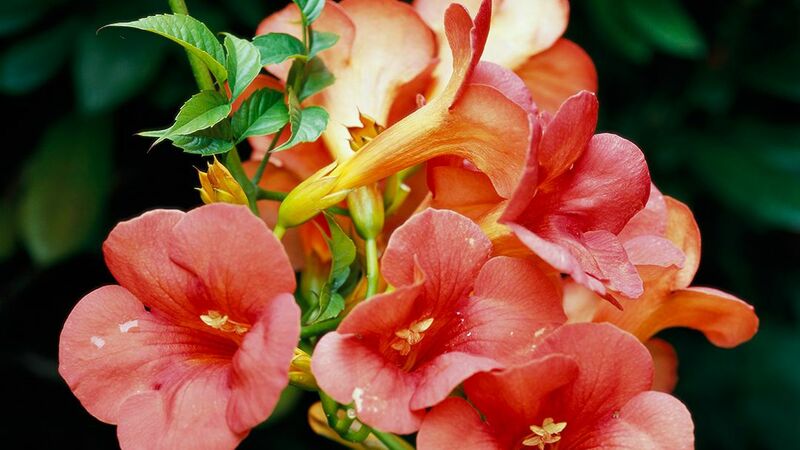 Add a summertime burst of orange, red, or yellow to structures with beautiful trumpet vine. 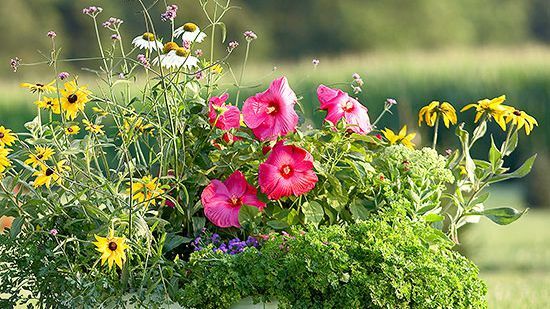 This fast grower is a perfect plant for attracting hummingbirds and bringing color to hot, dry spots. Test Garden Tip: Trumpet vine can spread aggressively via underground stems and may become weedy in a garden unless planted someplace it can be contained. 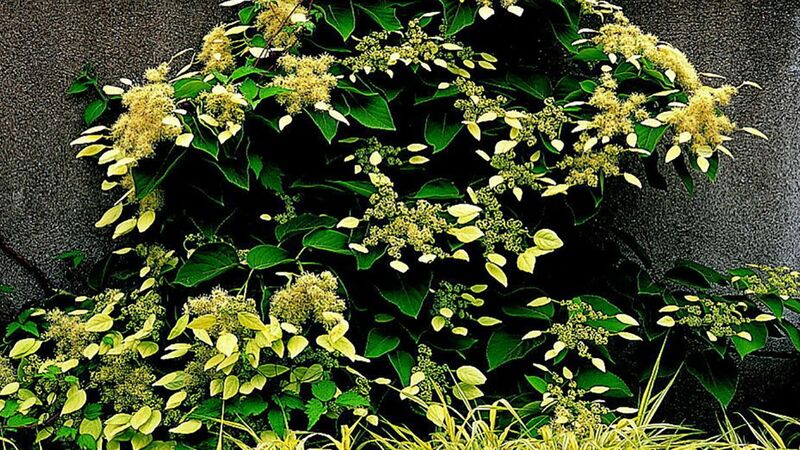 This plant has earned its common name—it closely resembles climbing hydrangea. False hydrangea vine, however, has showier flowers with large white bracts that look like big petals. 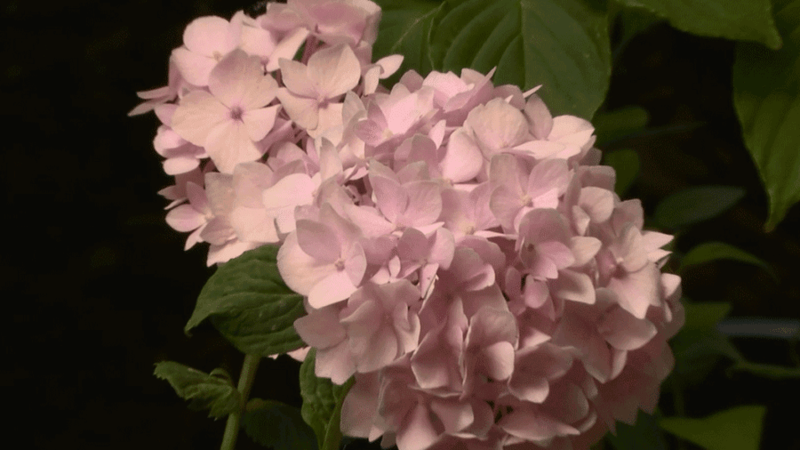 There's also a variety that has pink bracts. Test Garden Tip: The variety 'Moonlight' has especially beautiful foliage; the dark green leaves bear a decidedly silvery overlay. An underused vine native to North America that deserves a lot more attention, Dutchman's pipe bears heart-shape leaves that can be as much as 10 inches wide. It has unique flowers in spring, though they're often hidden underneath the beautiful foliage. This vine grows well in both sun and shade. Test Garden Tip: This vine is a host plant for a variety of swallowtail butterfly. If you see caterpillars munching the leaves, don't be alarmed. They'll soon be beautiful butterflies. 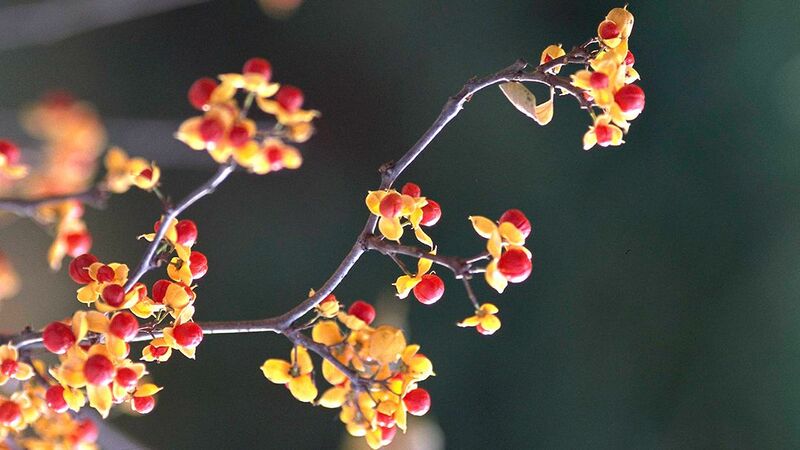 A favorite of fall crafters, bittersweet is a quick-growing climber that bears yellow fall color and yellow-orange fruits with bright red seeds that dry well. The vine is very easy to grow, but you need a male and female vine in order to get fruit. Test Garden Tip: Choose native American bittersweet and avoid growing Oriental bittersweet (Celastrus orbiculatus), which may look similar but is an invasive weed. 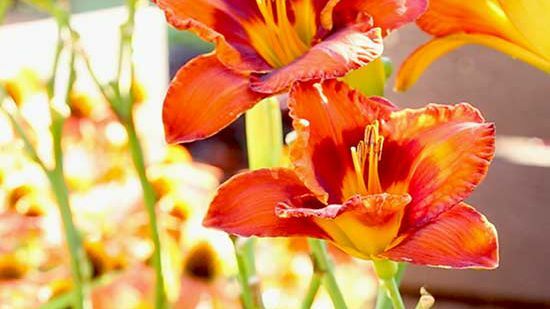 Add a touch of the tropics to your yard with this hardy, easy-growing perennial vine that's actually native to areas of North America. Though it's late to poke out of the ground in spring, it grows fast and produces masses of intricate, lavender flowers in summer. It's a great plant for attracting butterflies. 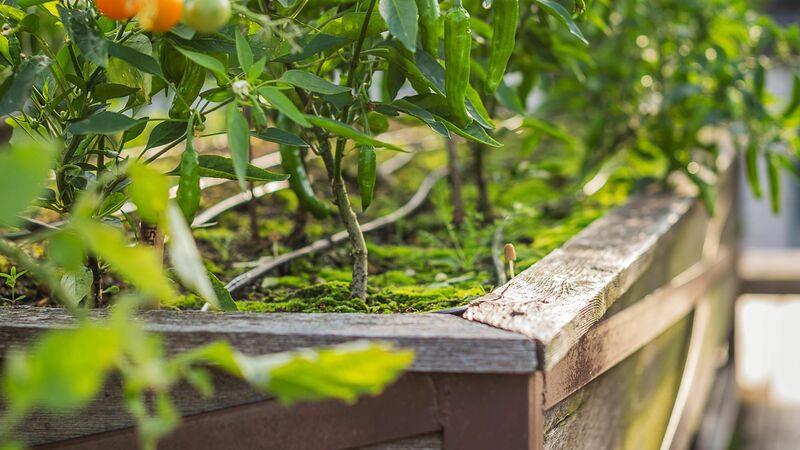 It does produce underground runners, and some gardeners consider it a bit invasive. 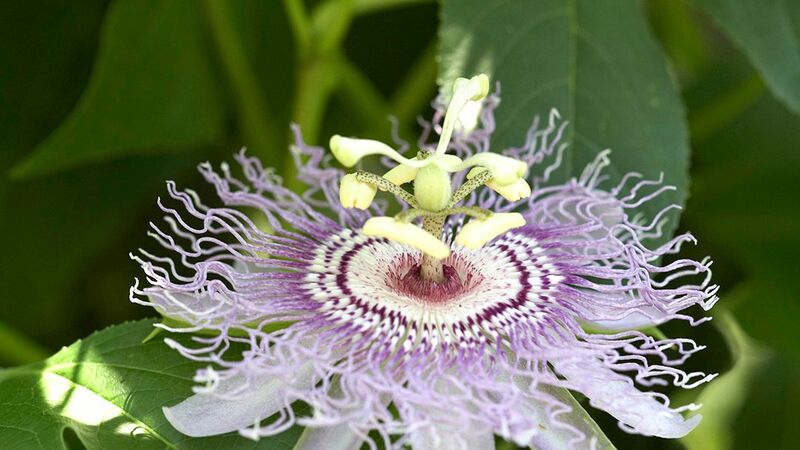 Test Garden Tip: Like Dutchman's pipe, this plant is a host plant for some butterflies. 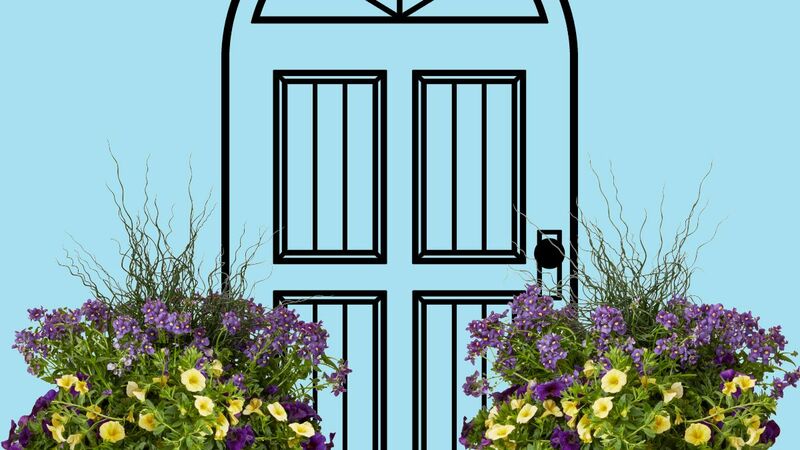 Allow the caterpillars to eat the foliage (plants quickly recover and grow back) and enjoy the butterflies weeks later. 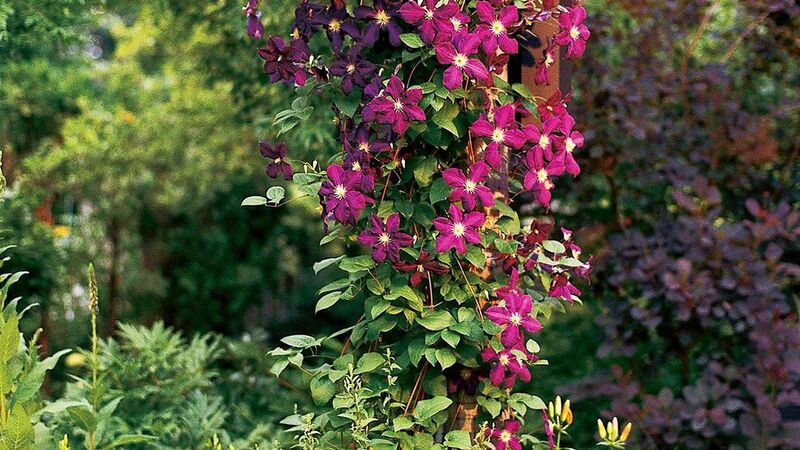 Few vines offer the versatility of climbing clematis. Choose from varieties that bloom in spring (such as Clematis alpina) or fall (C. terniflora)—or anytime in between. Clematis bloom in virtually every color, as well. 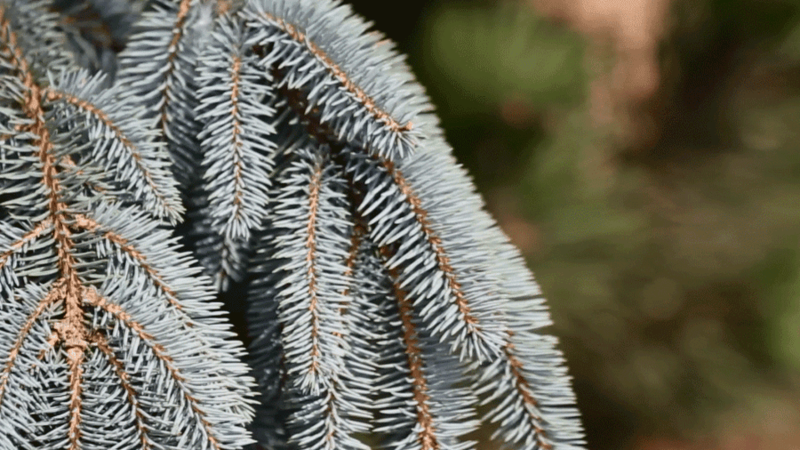 And there are even evergreen varieties (such as C. armandii) for mild-winter climates. Test Garden Tip: If you want to go native, select species such as C. pitcheri and C. texensis—they're native to North America. 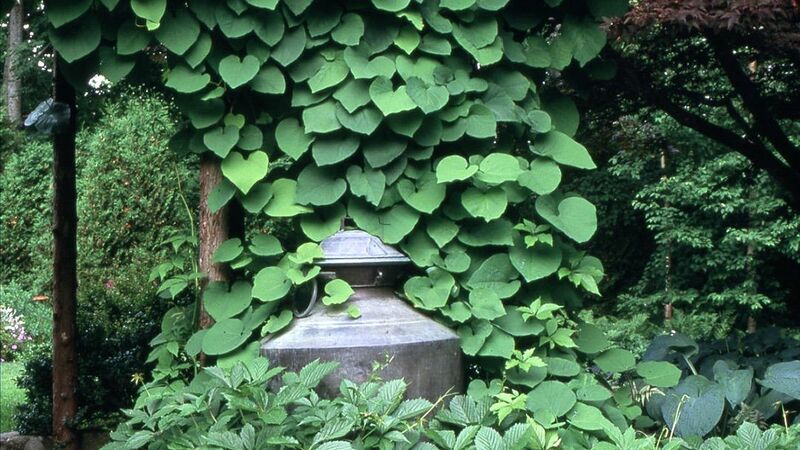 Akebia takes the prize for best foliage—each leaf is delicately divided into five blue-green leaflets, giving the plant a soft texture. 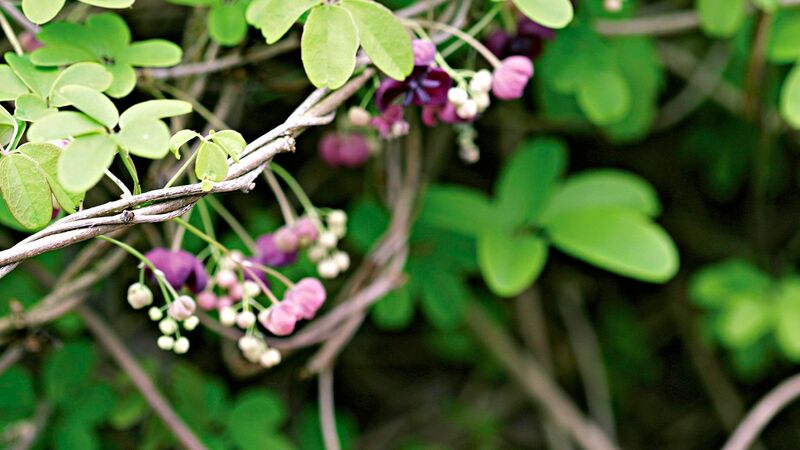 It's earned one of its monikers, chocolate vine, because the purple or white flowers, which are usually hidden in the leaves, smell like chocolate. Test Garden Tip: If you plant two different varieties of akebia, they may produce fleshy, edible fruit. 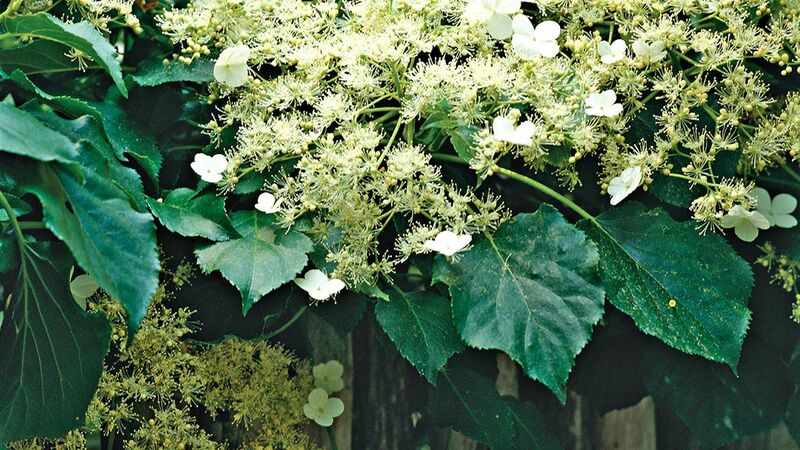 The most elegant vine for shade, climbing hydrangea bears flattened clusters of fluffy white flowers in summer. 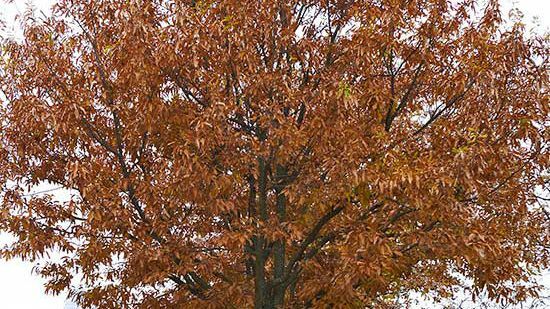 Though the foliage may change to shades of yellow in the fall, it's not a reliable pick for producing autumn color in the garden. 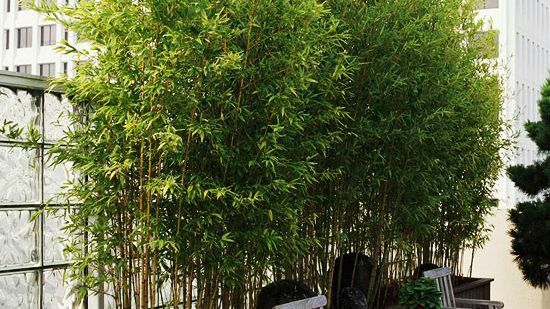 However, it is a sure pick for beautifying a shady wall or large fence. 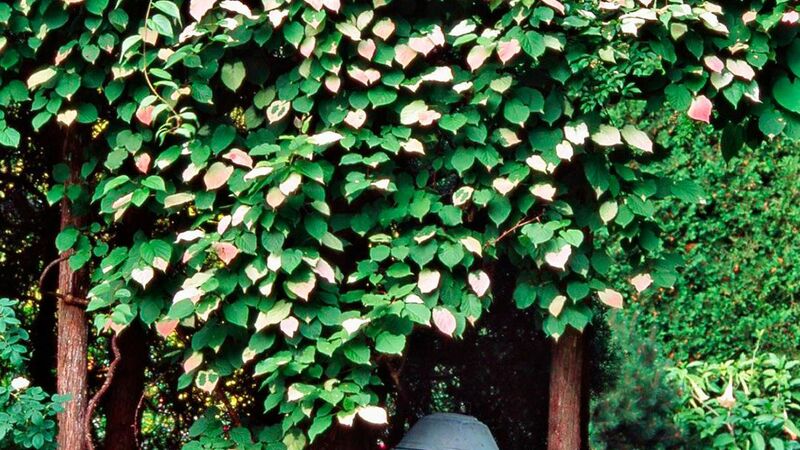 Test Garden Tip: Climbing hydrangea is not as fussy as its pink- and blue-flowering cousins, but it is a slower grower. Be patient with this one. 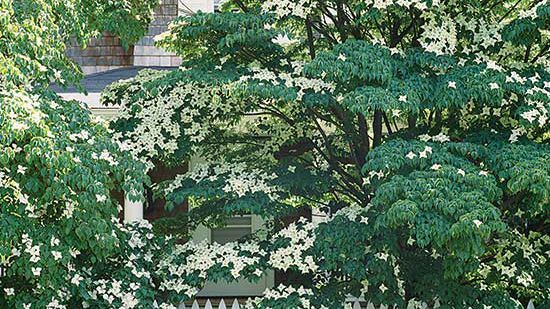 Learn more about climbing hydrangea. 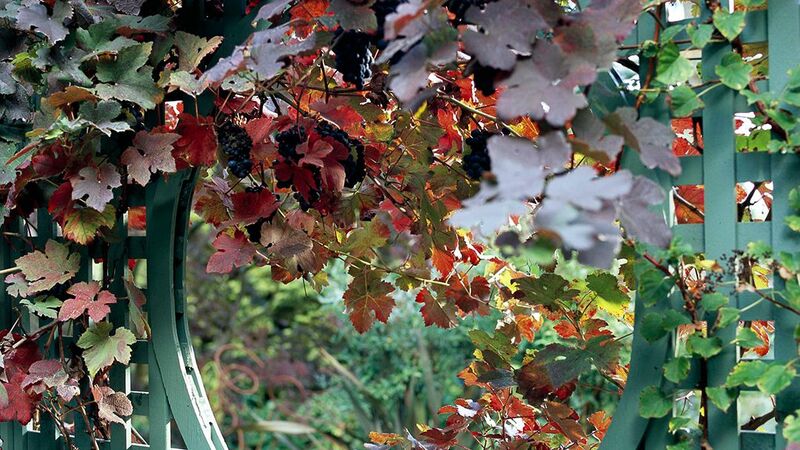 A vine that really shines in autumn for its fall color, Boston ivy bears three-lobe leaves that turn fiery red at the end of the season. It's a relative of grape and bears clusters of small purple fruits that attract birds at the end of the season. Test Garden Tip: Unlike most vines, it climbs using suction cups at the ends of its tendrils. If you need to pull it off a wall, the small suction cups will remain attached to the wall. Honeysuckle is another great pick if you want to bring butterflies into your yard. This easy-care vine doesn't grow quite as large or rampantly as trumpet vine, so it's a good pick for smaller-space gardens. The tube-shaped flowers appear in summer in shades of red, orange, and yellow. 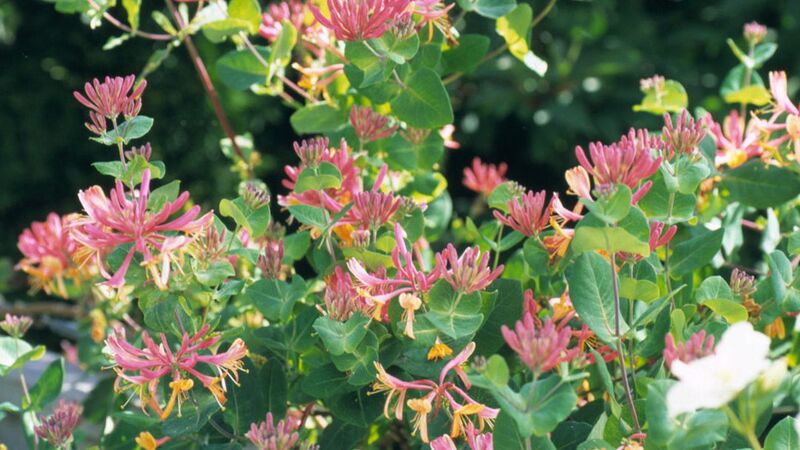 Test Garden Tip: Some varieties, such as trumpet honeysuckle (Lonicera sempervirens) are native to North America. Others are not native and may become invasive in some areas; check local restrictions before planting honeysuckle. 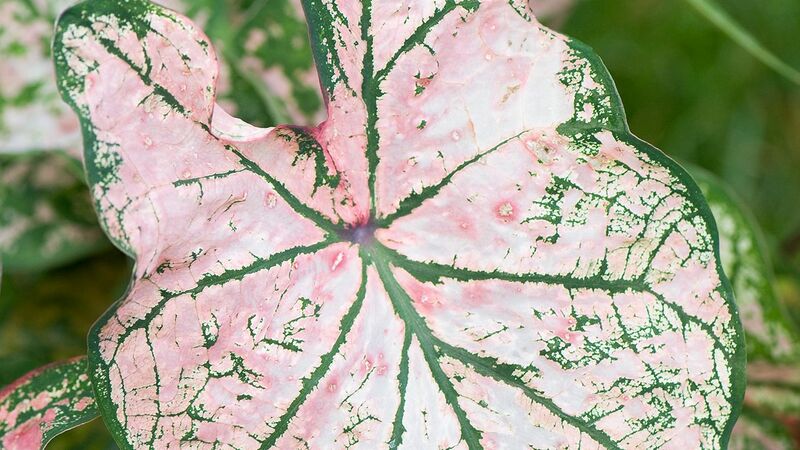 Add color to your garden with variegated kiwi, which features leaves that start green but become variegated with pink and white as they mature. 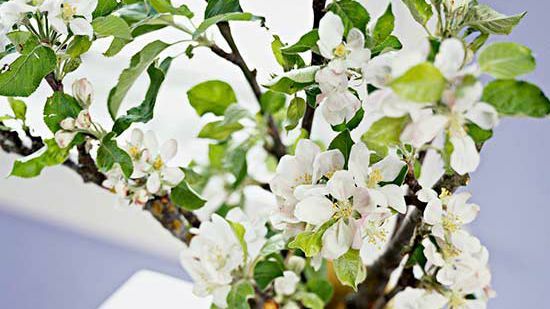 It's a strong grower and features fragrant white flowers in early summer. Test Garden Tip: Gardeners in cold-winter climates can grow A. arguta, a hardy species that bears delicious fruits (they're considerably smaller than the grocery store varieties, however). Not all grapes are for eating! Beautiful purple-leaf grape is a feast for the eyes. In spring and summer, it bears purple-flushed foliage that turns screaming shades of red come fall. 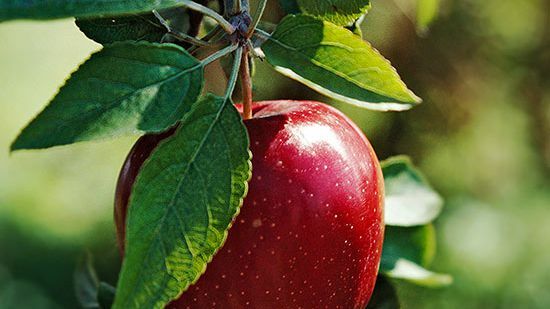 It does offer small clusters of sweet fruits, but the leaves are definitely this plant's main attraction. Like all grapes, it's a fast grower that does best in full sun. Use perennial sweet pea to add color all summer long to small spaces. 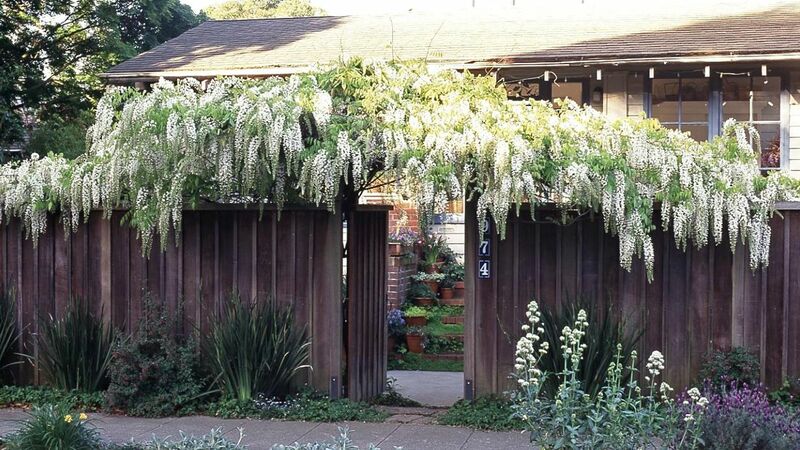 This easy-growing vine grows only 6 feet tall and produces pink or white flowers throughout the summer. It does spread by suckers, so some gardeners have found it a little pesty. Also, unlike the annual sweet pea varieties, its blooms are unscented. 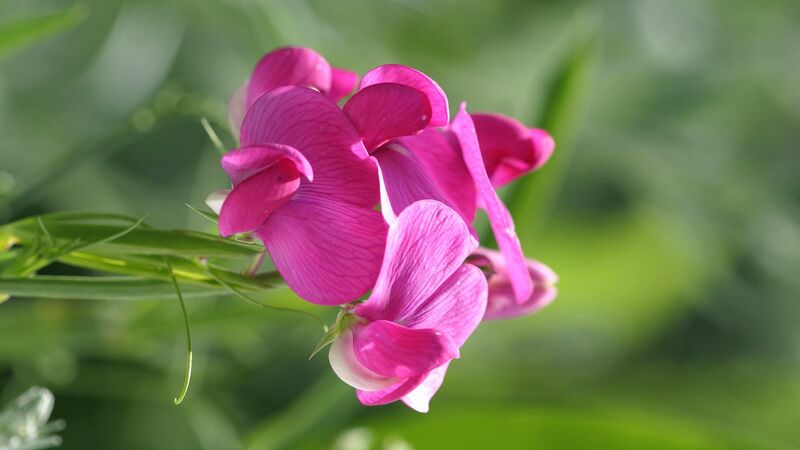 Note: Perennial sweet pea may be weedy or invasive in some areas; check local restrictions before planting it. 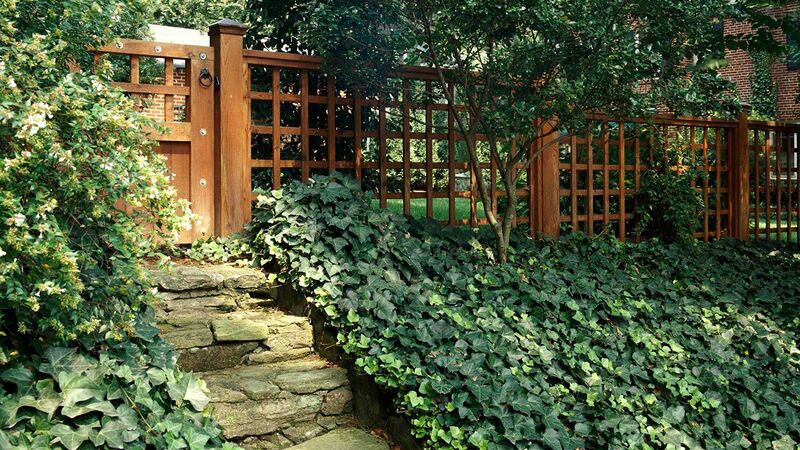 Ivy has been used for ages as a shade-loving groundcover or vine; it creates a dense mat on the ground until it finds something to climb on, then sends aerial roots into its support to grow up. Because it has these aerial roots, it's not the best choice for growing up brick walls. 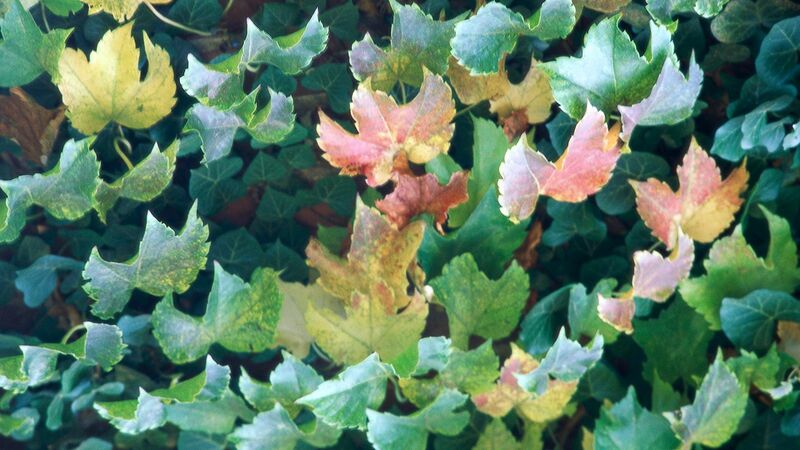 Note: English ivy is considered invasive in some areas; check local restrictions before planting it. 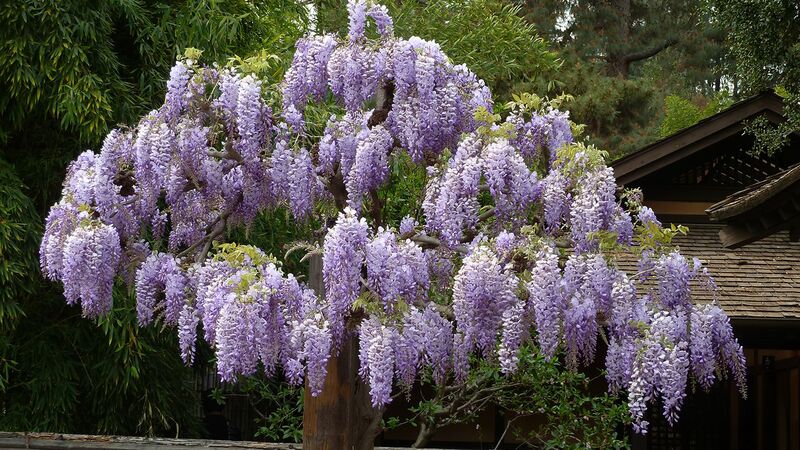 Wisteria is one of the most loved and hated vines. 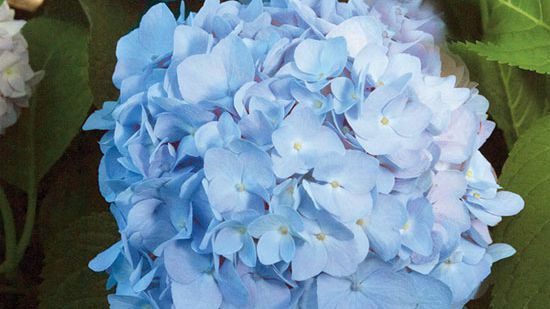 On the plus side, it bears gorgeous clusters of fragrant flowers in shades of blue, purple, pink, and white in spring. 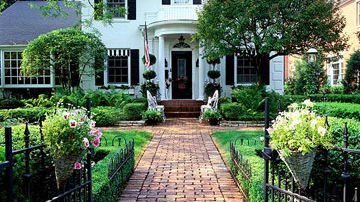 Unfortunately, it is also a very vigorous grower with underground runners that can overtake a garden. 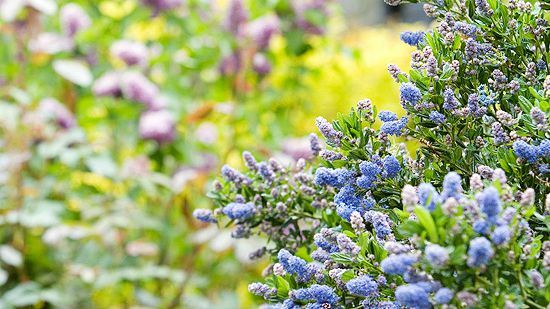 Gardeners in Zones 4 and 5 look for extra-hardy varieties such as 'Blue Moon', 'Aunt Dee', and 'Clara Mack'. They're bred from North American native species and less likely to become invasive. 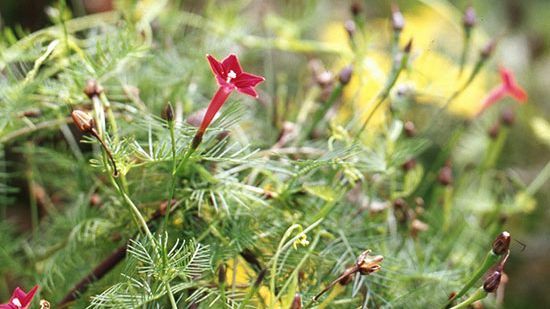 Test Garden Tip: Some varieties may become invasive in some areas; check local restrictions before planting nonnative species and varieties. 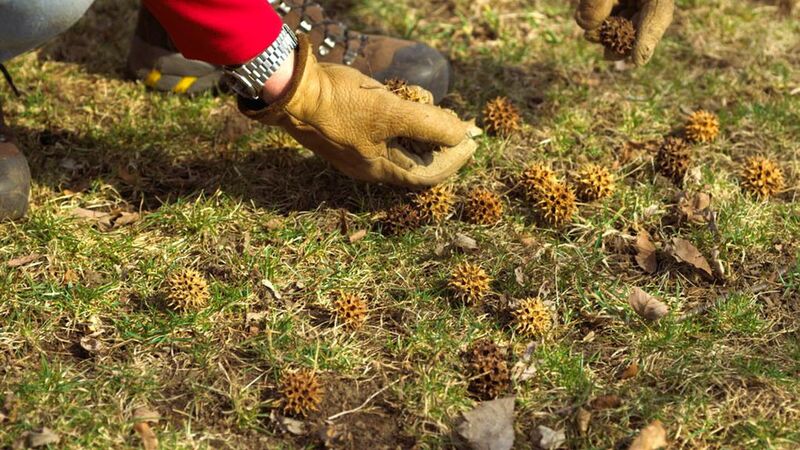 What Kind of Tree Produces Spiked Round Balls? 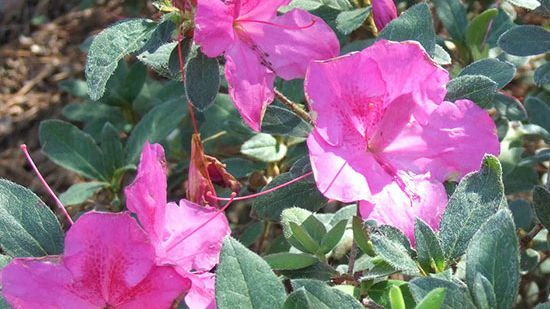 How Fast Do Encore Azaleas Grow?